I’ve decided to dedicate a number of posts this month to sparkling wines, Champagne, Prosecco, Cava, and all the other bubbles that make life delicious. I love sparkling wine and the holiday season is upon us so it seems a perfect time to take a look at some of the ones I have had this year. Celebrating the arrival of my new bundle of joy earlier this fall, I shared a bottle of this wine with my family, a perfect pairing and a great wine to celebrate his arrival. Pol Roger is one of the last few champagne houses that are still entirely family owned. 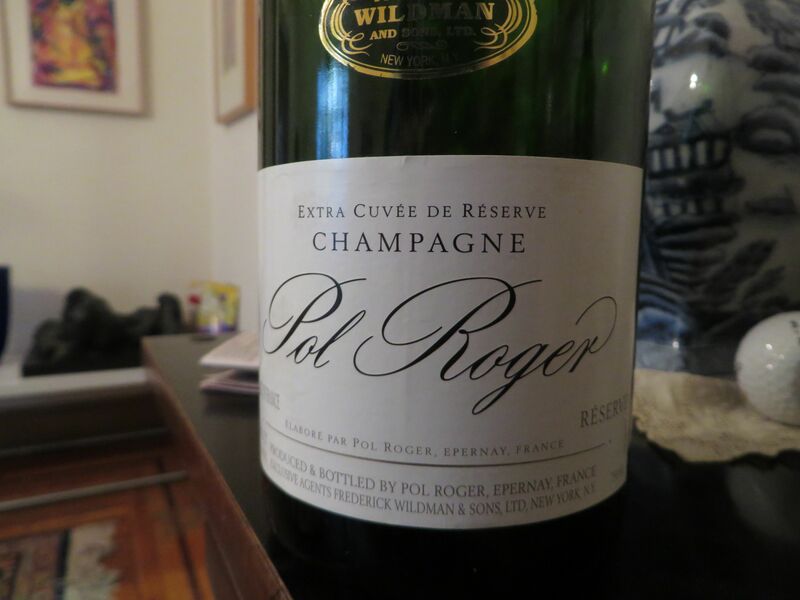 In fact, my very first wine tasting in New York years ago was a Wildman portfolio tasting, Pol Roger importer, and a member of the family was there pouring their wines. A very elegant older gentleman, it was a memorable experience. The family has some 220 acres of vineyards, mostly in the south of Epernay and the Cotes de blancs. This particular Champagne is composed of one third Pinot Noir, one third Chardonnay and one third Meunier. It spends three years on its lees. Each grape brings different aspects to the blend: Pinot Noir brings body, Pinot Meunier provides freshness and fruit notes and Chardonnay enhances the experience by adding an elegant lift. This Champagne has a beautiful perlage, lovely floral and fruit notes as well as nutty and toasty aromas and flavors that make this a classic and a great one to celebrate sweetness in your life.